Originally published under the title "How the Dubai miracle was realized." 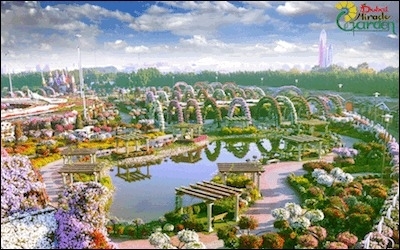 The Dubai Miracle Garden, a 72,000-square-meter attraction that opened in 2013, is the world's largest natural flower garden. The Great Recession of 2008-09 convinced me, like many other observers, that the city-state of Dubai's razzmatazz – Go skiing in the boiling heat! Gawk at the world's tallest building! – was but a desert mirage. I lambasted Dubai in a 2009 article for "hucksterism and fast talk," running a "trompe l'oeil economy," and suckering outsiders with Ponzi-scheme real estate deals. It appeared to be only a matter of time until the whole edifice collapsed. But that did not happen. The leaders learned from their mistakes, addressed major flaws, and oversaw Dubai's roaring back bigger, bolder, and brassier than ever. To learn how this happened, I have annually visited Dubai (one of seven polities making up the United Arab Emirates, somewhat like the United Kingdom's four countries) since 2015. There I found not hucksterism but something rarer and far more impressive: capitalism. And not just capitalism but raw, unfettered capitalism with few regulations, minimal taxes, and emasculated trade unions. 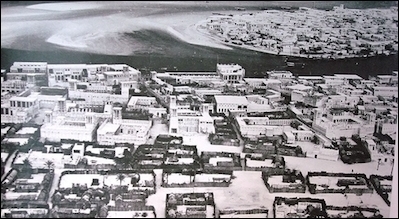 Dubai in the distant 1950s. The emirate sits among some of the richest oil and rentier states in the world; nearby Qatar has a per capita annual hydrocarbon income of about US$500,000 per Qatari national. Neighboring Abu Dhabi's income per national is over $400,000. But Dubai has few hydrocarbons and revenue from them amounts to a measly 2 percent of the emirate's income. The rest comes from hustling. The commercial ventures come on fast and furious: real estate, air traffic, tourism, free zones, media, ports, transshipment and smuggling, education, financial services, high-tech, and scientific research. The result has been a huge increase in people and wealth. Fifty years ago, the population was about 60,000; now it is just under 3 million, an increase of 50 times, perhaps the largest demographic growth on the planet. Meanwhile, per capita income (including the 94 percent of the population that is foreign) has reached $29,000. This is what locals call the Dubai Miracle. The analyst Mehran Kamrava calls Dubai an "emerging global city." I call it an entrepôt, comparable to Hong Kong and Singapore. 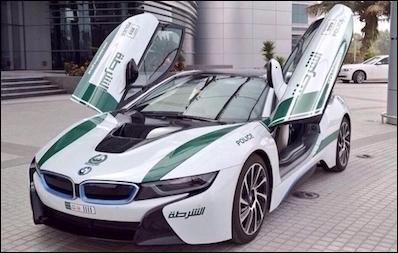 One of Dubai's super-fancy police cars. As befits capitalist boosterism, emirate leaders obsess over breaking world records, such as the most buildings above 300 meters, the busiest airport for international passenger traffic, and the fastest police car. As a vulnerable emirate surrounded by rapacious states like Iraq and Iran and filled with disenfranchised expatriates, it has sought safety in soft power, from tourism to international arbitration. Yet, this is capitalism with a difference, where the state plays a major role. Dubai's leaders, and especially Emir Mohammed bin Rashid Al Maktoum (b. 1949), have directed the economy through direct ownership and a strong guiding hand. As a foreign money manager described the situation to me, "Dubai has mixed origins. The mother, a capitalist, manages the expats and small companies. The father, a socialist, manages the locals and big companies." Dubai is a model of undemocratic wealth-building. The rights of subjects are strictly limited and those of the expatriates virtually nil; foreigners can be dealt with however the government chooses. Tough laws are unpredictably enforced, meaning that nearly everyone is susceptible to arrest at any time though, so long as discretion is maintained (one Emirati told me, "Here, hotel rooms are the dating scene"), punishment remains more potential than actual. The prevailing sentiment leaves politics to the wisdom of the ruling family – which, all things considered, has been wise. 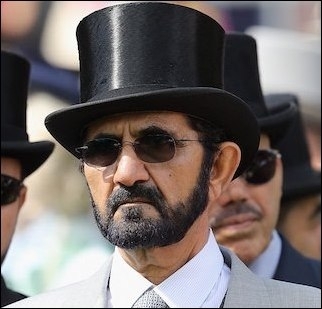 Mohammed bin Rashid Al Maktoum, the emir of Dubai, at the Royal Ascot races in England. Thus does Dubai fit the "Asian model," where the "tigers" of Hong Kong, Singapore, Taiwan, and South Korea grew rich with limited freedoms and pervasive government involvement in the economy. Then came the People's Republic of China; Deng Xiaoping's 1962 declaration that "It doesn't matter whether the cat is black or white, as long as it catches mice" became the spirit behind the "Socialism with Chinese characteristics" that he launched in 1978. If other tigers democratized, the Chinese Communist Party maintained its dictatorship through four decades of remarkable economic growth. The success of its state capitalism has proven so impressive a competitor to the free market that regimes in Russia, India, and Turkey have emulated China, as Time puts it, by "building systems where government embraces commerce while tightening control over domestic politics, economic competition, and control of information." This is also what Crown Prince Mohammad bin Salman's Vision 2030 aspires to for Saudi Arabia. Dubai boisterously fits this new model of undemocratic wealth-building. Its distinctive outer trappings matter less than its core structure, which fits a well-established and regrettably viable model.